Born in Chicago, Illinois, on August 28, 1943, David Solberg (Soul) spent the first twelve years of his life between the prairies of South Dakota and the divided city of post WWII Berlin. Arriving in 1949 only weeks after the Berlin Airlift was suspended and the Soviets had lifted the ban on road and train travel, David’s father, Dr. Richard Solberg — professor of History and Political Science as well as an ordained minister — moved his family to Berlin where he served as Religious Affairs Advisor to the U.S. High Commission and, from 1953, as Senior Representative for the Lutheran World Federation, a refugee relief organization. As advisor to the U.S. Commission in Berlin, Dr. Solberg’s mandate was two-fold: to help sustain the life and health of the Church in the Soviet controlled East Zone and, secondly, because those religious communities were an important source of valuable information for the allies in the escalating Cold War, Pastor Solberg was to gather information that could be useful to the U.S. authorities. Because the Church was so central to the life of the German people, the Soviets, for fear of a severe backlash, could not afford to close them down. Dr. Solberg used his special credentials as a churchman to gain entry into East Germany and travelled freely. In 1953, Dr. Solberg was appointed Senior Representative for the Lutheran World Federation, a position in which his primary function was to oversee refugee relief operations in West Berlin, as well as to facilitate the reuniting and relocation of families that had been split apart by the iron hand of Communist-controlled Eastern Europe and that had risked their lives to flee into West Berlin. By 1956, when the Solberg family left West Berlin and returned to their home in Sioux Falls, South Dakota, nearly 6,000 people a week were defecting into the barbed-wire enclosed “island city.” For this reason, the Berlin Wall was finally erected in 1961. Deeply affected by his experiences in Berlin, David’s earliest thoughts of a vocation were to follow in his father’s footsteps. In 1959, he became involved with the South Dakota Young Democrats in the ultimately successful campaign to elect John Kennedy as President. David was also an avid sportsman and baseball was his first love. Completing high school in 1961, the 18-year-old was offered a professional baseball contract with the Chicago White Sox organization. But, in his second year of college, David opted instead to accompany his family to Mexico City where his father had accepted a professorship at the Collegio Americano, a graduate school for young diplomats. Inspired by his father’s work and President John Kennedy’s call to “ask not what your country can do for you, but what you can do for your country,” young Solberg hoped to join the diplomatic service. In Mexico City, he learned Spanish and studied Latin American social/political history. He was fluent in both German and Spanish. The detour into entertainment was purely accidental. It began with a group of radicalized (anti-U.S.) University of Mexico students whose singular aim was to rid Mexico of its internal corruption and reclaim their country from the influences of large U.S. corporations in collusion with the U.S. government. “Mexico for Mexicans” was their battle cry. Befriended by these students, they gave David a guitar and taught him the indigenous songs of Mexico. 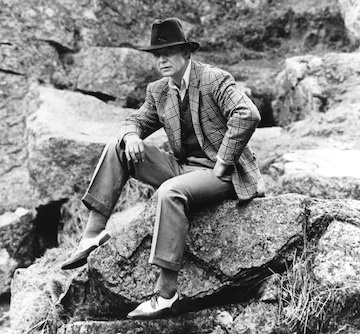 Hitch-hiking back to the Midwest and in need of work, Solberg auditioned for a job singing folk music at the Ten O’Clock Scholar, a University of Minnesota coffee house which had recently seen the likes of Bobby Zimmerman, aka Bob Dylan, leave for New York City. Solberg was the only “blond, blue-eyed Norwegian who could sing a Mexican folk song” and, thanks to those Mexican students, he won the job. Separated from his wife and living in the downtown Minneapolis offices of his booking agent, Solberg donned a mask, shortened his name to Soul, called himself ‘The Covered Man’ and sent an audition tape and a photo of himself as ‘The Covered Man’ to the William Morris Agency in New York. He was signed by the agency, sight unseen. 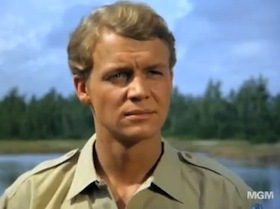 In 1965, now as David Soul, he escaped the Midwest by bus and travelled to New York City where he was contracted for multiple singing appearances on The Merv Griffin Show as well as with MGM Records. His first release, The Covered Man, was backed by the Blues Project, the East Coast’s answer to The Rolling Stones. His mantra was “My name is David Soul and I want to be known for my music,” after which he wouldn’t talk. He wore the mask for four months, never showing his face to anyone. Developing his film craft on the Columbia Pictures backlot, his first television appearances under contract were in the long-running series, I Dream Of Jeannie and The Love Boat, both Screen Gems productions. He was also ‘loaned out’ to Paramount Studios for an episode of Star Trek (1967) called The Apple. In 1968, he was cast as the middle brother, ‘Joshua,’ in the Screen Gems/ABC television series Here Come the Brides (with Robert Brown and Bobby Sherman) which ran for two years (52 episodes) on the ABC network. During that period, Soul also became deeply involved in the anti-Vietnam War movement and fought tenaciously and, finally, successfully against induction into military service. Ironically, in 1971, he was to appear in one of the most celebrated anti-war movies of the day, Dalton Trumbo’s Johnny Got His Gun (with Timothy Bottoms and Donald Sutherland). After the collapse of the ‘New Talent Program,’ Soul went freelance and, over the years, starred in many episodic television series, among them The FBI, Dan August, Ironside, Medical Center, Cannon, All in the Family, The Streets of San Francisco, MacMillan and Wife, Perry Mason, Crime Story, The Young Riders (two-parter), and many more. As an actor, Soul has starred or co-starred in more than 700 hours of domestic and international film, television drama, and television variety shows, including starring roles in Jeffrey Bloom’s film, Dogpound Shuffle (1973) with Ron Moody, as well as Bloom’s The Stick-Up (1977 with Pamela McMyler). 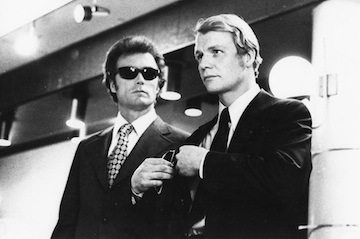 Clint Eastwood’s Magnum Force (1973) was a major breakthrough for Soul — a role that caught the eye of producer Aaron Spelling and won him the role of ‘Hutch’ in the internationally acclaimed television series Starsky and Hutch (1974-1979) with Paul Michael Glaser. Previously, Soul had also starred as a series-regular in Owen Marshall, Counselor at Law with Arthur Hill (13 episodes, 1972). In 1982, he was offered the role of ‘Rick’ in David Wolper’s, perhaps ill-conceived, TV production of Casablanca (5 episodes with Hector Elizondo, Scatman Crothers, and Ray Liotta). Subsequently, in 1983, he won the role of ‘Roy Champion’ in the Warner Brothers/John Wilder production, The Yellow Rose (22 episodes, 1983-84 with Sam Elliot, Cybil Shepard, Edward Albert, and Susan Anspach). In 1987, he starred in Aaron Spelling’s production of Harry’s Hong Kong (China Hand (also a TV series pilot) with Mel Harris, David Hemmings, and Julia Nickson. And then, in 1989/90, he starred as ‘Westy’ in the Stephen J. Cannell/NBC production of UNSUB (8 episodes), precursor to such series as The X-Files and CSI: Miami. Soul also starred in such notable TV films and mini-series as Little Ladies of the Night (1977) with Louis Gossett Jr. and Linda Purl; the cult TV and film classic, Stephen King’s Salem’s Lot (1979), directed by Tobe Hooper with James Mason and Bonny Bedelia; Homeward Bound (1980) with Barnard Hughes and Moosie Drier; Rage (1980) with James Whitmore and Yaphet Kotto; The Manions of America (1981) with Kathleen Beller, Pierce Brosnan, Anthony Quayle, and Linda Purl; World War III (1982) with Brian Keith, Jeroen Krabbe, and Rock Hudson; Ken Follett’s The Key to Rebecca (1985) with David Hemmings, Cliff Robertson, Season Hubley, Anthony Quayle, and Robert Culp; The Fifth Missile (1986) with Sam Waterston and Robert Conrad; The Hanoi Hilton (1987) with Michael Moriarty and Jeffrey Jones; In the Line of Duty: The FBI Murders (1988) with Michael Gross, Ronnie Cox, and Bruce Greenwood; The Secret of the Sahara (1988) with Ben Kingsley, Michael York, and Andie MacDowell; So Proudly We Hail (1990) with Edward Hermann. 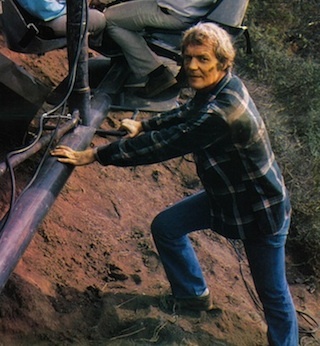 With his mentor, producer Renee Valente, Soul co-produced and starred in Swan Song (1980) for 20th Century Fox and the ABC Television Network, co-starring Jill Eikenbury, Bo Brundin, and Slim Pickens. As singer/songwriter, Soul has recorded five albums: David Soul (1976), Playing to an Audience of One (1978), Band of Friends (1980), The Best Days of My Life (1982), and Leave a Light On (1998). He also released a compilation album called Looking Back: The Very Best of David Soul (2009). Soul has several number one international hits: Don’t Give Up On Us (1976) and Silver Lady (1977), and has placed three others in the top 12 in the U.K. With his band, Soul has toured extensively in the U.S., the U.K., the Far East, and South America, and has performed sold-out concerts at the Greek Theatre in Los Angeles, Radio City Music Hall in New York, The Sports Palace in Monte Carlo, The Festival Hall in London, as well as a Royal Command Performance to honor the Queen’s Jubilee 1977. In 1994, after 27 years in Los Angeles, he left, having ‘had it’ with the business of Hollywood. He travelled to New Zealand and then on to Australia, starring in Willy Russell’s Blood Brothers. Subsequently, he moved to Paris in 1994 where he starred in two miniseries, Les Filles Du Lido (1995) with Annie Girardot, Francis Huster, and Line Renaud, and Sandra-Princesse Rebelle (1995) with Maria Verdi and Jean-Claude Bialy, both for TF1 in France. In 1995, Soul was invited to Britain by Bill Kenwright to do the play, Catch Me if You Can, and has since spent the past fifteen years in London working in theatre, television, and film. In theatre, he has toured England and Scotland in such productions as Michael Redgrave’s adaptation of Henry James’ The Aspern Papers (1996); David Mamet’s Speed-the-Plow (1998); Ira Levin’s Deathtrap (2002); and the Cole Porter musical, Anything Goes. In the West End, Soul has starred in such productions as The Dead Monkey by Nick Darke (1999); and Sam Shepard’s Fool For Love (2000), both of which he also directed. Other West End productions in which he starred include: Alan Ayckbourn’s Comic Potential (1999/2000); Stewart Lee and Richard Thomas’s Jerry Springer — The Opera (2004/05); the musicals, Blood Brothers by Willy Russell and Jerry Herman’s Mack and Mabel (2004/05). Included in Soul’s U.K. television and film credits are personal appearances on Little Britain, Top Gear, Harry Hill, and Maestro, plus dramatic roles in Dalziel and Pascoe, Holby City (two episodes), Agatha Christie’s Poirot: Death on the Nile, and Jerry Springer — The Opera. His U.K. film credits include Tabloid, That Deadwood Feeling, and Puritan. Most recently, he co-starred in the French production of Christian Carion’s film, Farewell (2009) with Emir Kusturica, Guillaume Canet, Fred Ward, and Wilem Defoe. Soul also had a cameo role with Paul Michael Glaser in Starsky and Hutch: The Movie. Currently, Soul is developing three film projects: a three by one-hour documentary series called Cuba: The Mystery Explored; another, his documentary about his mission to restore Ernest Hemingway’s 1955 Chrysler New Yorker, titled Cuban Soul; and a film, The Passion and the Poetry of Pablo Neruda. Soul holds dual U.S. and U.K. citizenships. He is married to Helen Snell-Soul and has six children from previous marriages. His youngest, daughter China Soul (also a U.S./U.K. citizen and living in the U.K.), has written and recorded her first album, Secrets & Words, produced by Chaz Jankel of Ian Dury and the Blockheads and was released in October 2010.